Here’s an entry level power user tip that will save you time if you’re constantly searching for the same thing on your PC. Since Windows Vista, File Explorer/Windows Explorer lets you save a specific search for quick access later. For our example, we’ll be using Windows 10, but this tip will work for Windows 7 and up. Vista users can follow along too, but the specific example is not for you. Let’s say you always need to refer to files in your documents folder that were modified during the current week and the week previous. Open File Explorer by tapping the Windows logo key + E in Windows 7, 8 and 10. This is an advanced search term, but it’s pretty obvious what’s going on here. The command “datemodified” tells File Explorer to search for files only based on the date they were last changed. Everything after the colon tells File Explorer the range of dates to search for. A File Explorer search in Windows 10. After your computer returns the results, you’ll see a Save search button. Above is what the button looks like in Windows 10. 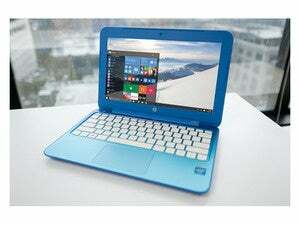 Users on Windows 8 will see something similar, while Windows 7 users will see the option next to Organize on the Explorer menu bar. Once you click that option on Windows 7 your saved search will appear under the Favorites section on the left. 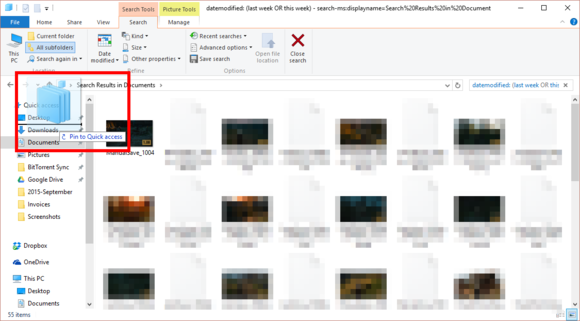 In Windows 8 and 10, you have the option to save the search as a file in C:\[user name]\searches. 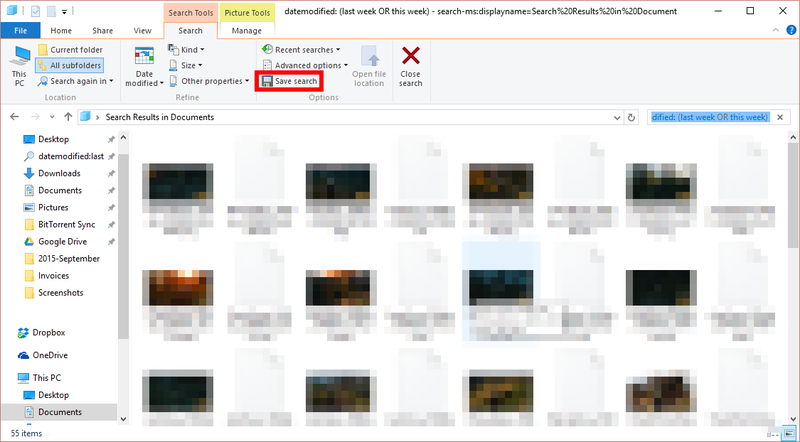 You can drag saved searches to the left-hand navigation panel in Explorer. You can also just click on the search icon in Windows 7, 8.1, and 10 and drag it to the Favorites/Quick Access section of Explorer. The beauty of saving this search is that it remains relative to the current date, meaning if you look at it next year it will be loaded with your most recent documents and not those from when you did the search. You don’t have to restrict your search to this example either. You can search for documents that were modified over the past day, month, or year.